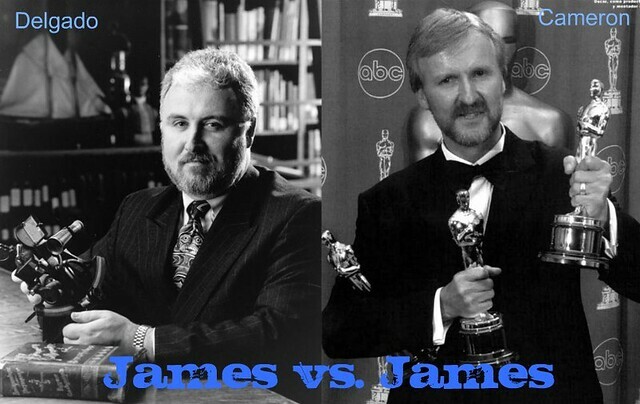 James Cameron’s got nothing on Dr. James Delgado. Although the multimillionaire and filmmaker made a historic dive Monday to a depth of 35,576 feet, it’s Delgado who headed up the historic excavation of the R.M.S. Titanic – the inspiration for that other guy’s most famous film. 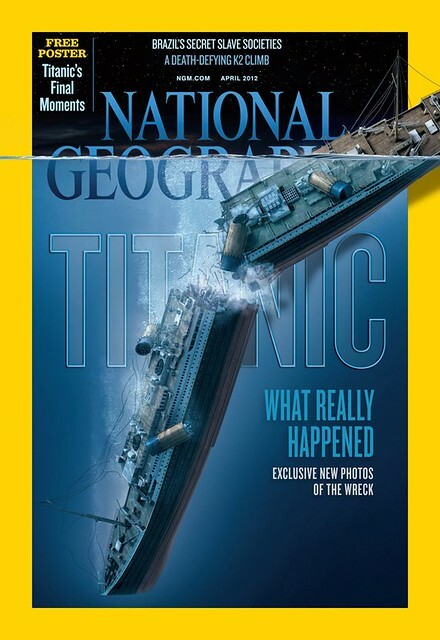 On the eve of the 100th anniversary of the Titanic’s sinking in April 1912, new images were released in the April 2012 edition of National Geographic that depict the entire wreckage for the first time in a single frame. For the first time ever, the boat’s full expanse is photographed at its resting place more than 2 miles beneath the Atlantic Ocean. Although the images look as though they were shot from a distance, the ocean depths are far too dark to light the wreck powerfully enough – and doing so would be dangerous to the ship’s remains. Instead, the images were assembled mosaic-style by experts at the Woods Hole Oceanographic Institution and took months to complete. To create an accurate image of the full wreckage, researchers layered optical data on top of sonar images gathered from an exhibition in 2010 that is widely regarded as the most extensive research and recovery trip to date. During that trip to the wreck site, the eighth since its discovery, three robots circled the boat using side-scan and multibeam sonar to capture hundreds of images per second. Delgado will be at HMNS on April 12 to discuss expeditions to the wreck site and the technology that has made such imaging possible. In addition to discussing his own historic visit to the ocean floor, Delgado will outline options for the Titanic’s future preservation. To reserve tickets, click here!